Brigit's Scraps "Where Scraps Become Treasures": Homemade Goodie Bag! Here is another homemade goodie bag using my sewing machine, these bags are so easy to make. This time I used the skull and poison from SVG Cuts new kit Toil and Trouble. I used the printed version to make a print transfer and ironed it onto the bag, I think it looks pretty cool!! 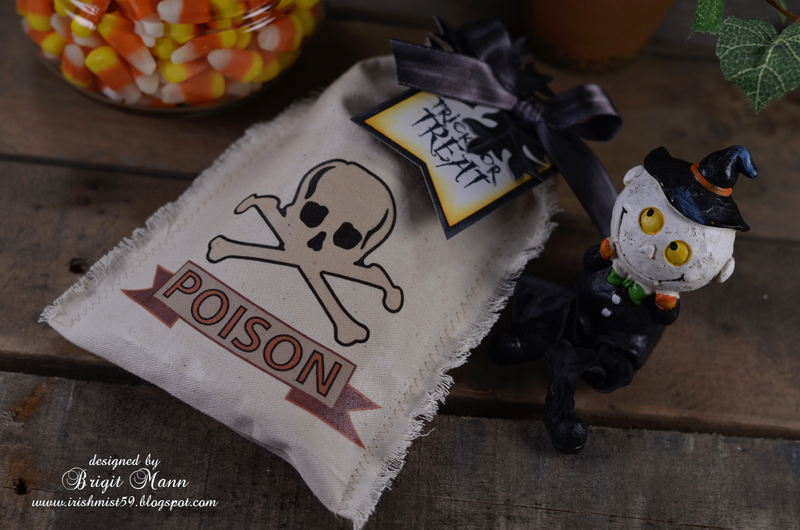 The stamped sentiment is from Punkin' Patch Stamps Trick or Treat set, the Halloween stamps are still on sale for 50% off. 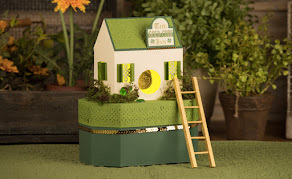 I used the banner from the kit as the tag created a shadow piece and then added a couple of black leaves also from the kit. 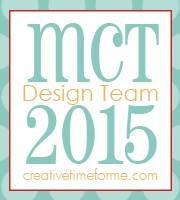 I have to get some of that transfer paper! great idea! Spooky Cuties SVG Cuts New Collection! 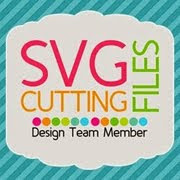 New SVG Cuts Kit Toil and Trouble! New SVG Cuts Kit Acorn Autumn! 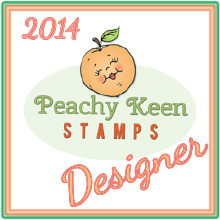 50% OFF Punkin' Patch Halloween Stamps! !